Investor sentiment towards the hedge fund industry has been overwhelmingly negative since the financial crisis. Chronic underperformance, the rise of passive and quant strategies, and mounting pressure on fees have dogged the the sector, leading the most optimistic analysts to claim that active management is in secular decline. Unsurprisingly, a Google search for ‘death of hedge funds’ yields 900,000 results. Based on the evidence, this isn’t unreasonable. Recent research shows that even before fees, 70 percent of actively managed funds do not beat their benchmarks. The 30 percent that do outperform can’t be identified before doing so even by the most expensive investment consultants. Many of the investing greats have also grown skeptical of active management. In 2007, Warren Buffett famously bet Ted Seides of the fund of funds Protege Partners $1M that the Vanguard S&P 500 index fund would outperform a hand picked basket of five hedge funds over the next decade. Buffett handily won the bet, with his index fund returning 60% more than Protege's basket of funds. Buffett's bet is broadly representative of the sentiment towards hedge funds in the current bull market. This begs the question, is value-investing style active management in decline? 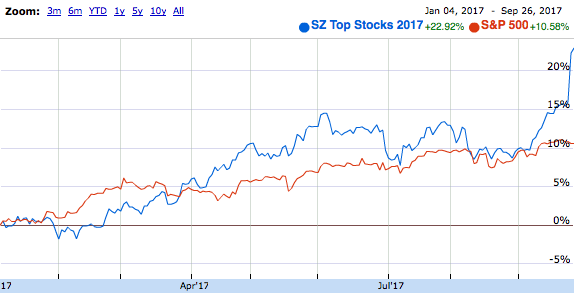 In this article, we will demonstrate that, at least in SumZero's case, the death of stock-picking has been greatly exaggerated. 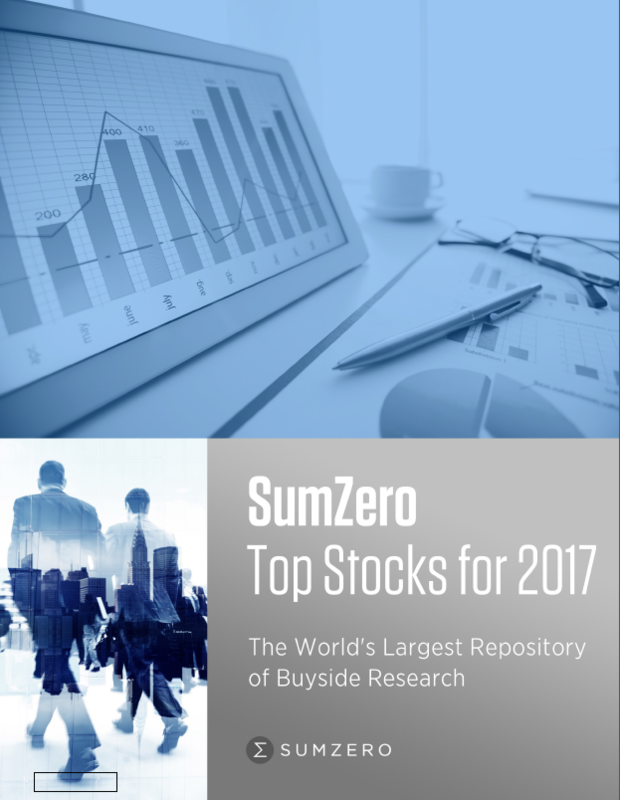 At the beginning of the year, we at SumZero, the largest community of investment professionals working at hedge funds, private equity funds, and mutual funds, ran a research competition for the ‘Top Stocks of 2017’. The competition was judged by a panel of dozens of senior hedge fund professionals and asset allocators with the goal of generating top stock recommendations for the upcoming year. Over 150 ideas were submitted by a wide variety of SumZero members across the world, ranging from analysts to PMs at major funds, and had no limit as to coverage area or geography. After a meritocratic deliberative process, our judges selected the top fifteen across five categories, with one winner and two runners up per category. We published these results in a document that quickly made the rounds around the investment community. At the time of publishing, we felt that these ideas represented the best the SumZero community has to offer. Nine months later, we decided to return to these suggestions to see how they’ve performed. 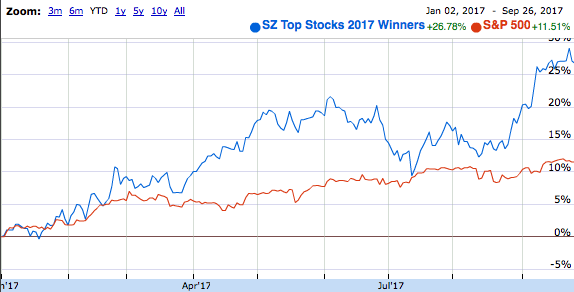 On average, ideas selected for our ‘Top Stocks of 2017’ have averaged a return of 15.98% to date, with the winners of each section collectively averaging a return of 19.88%. These returns are not market correlated, with the ideas collectively outperforming their respective benchmarks by 7.01%. We plan on running another contest for our Top Stocks of 2018. If you would like to participate in either submitting research or judging, please submit an application to SumZero here.